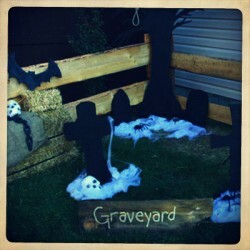 Welcome to Blazing Saddle - Your Source for Western Display Decor in Calgary! 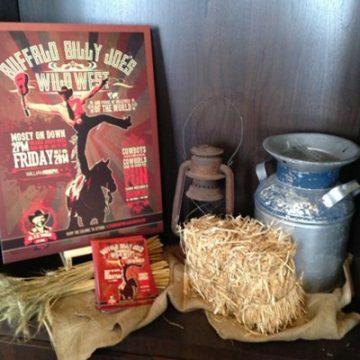 Welcome to Blazing Saddle – Your Source for Western Display Decor! 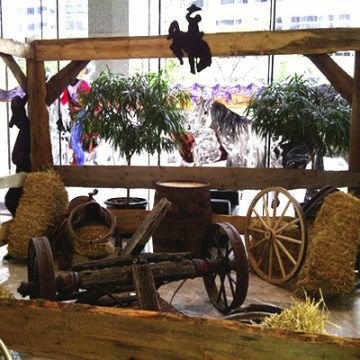 Have your event professionally western-ized by Blazing Saddle Western Display Ltd.
We can supply a large variety of props, decorative wood, and fire retardant straw bales. We will supply, install and teardown your display for your convenience. A great service that saves you and your staff time and money…cuz we do it all! 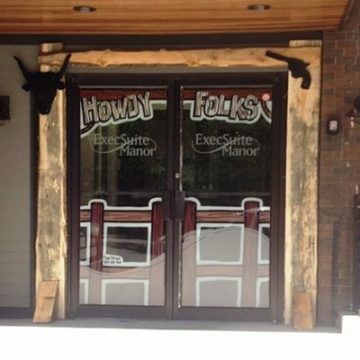 We will custom design a display for your office, patio, parking lot, reception area, bar & grill, restaurant, Stampede breakfast, lunch, supper, corporate event, parade float, hoe-down, BBQ, entrance way or any other display area. From large budgets to small, we are able to accommodate your needs. From fencing to whiskey barrels to fire retardant straw bales, we have it all! 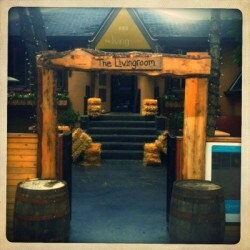 It’s a great way to attract those “Stampeding Customers and Tourists”. Have a look at some of our displays from previous years! Looking for Fire Retardant Straw Bales? Well you’ve come to the right place. 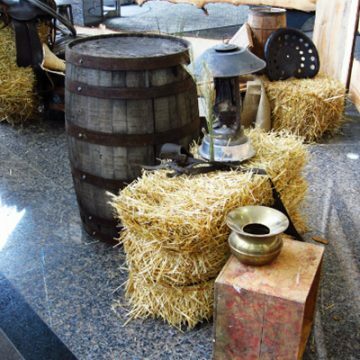 Fire Retardant Straw Bales are a great way to add that western flare! 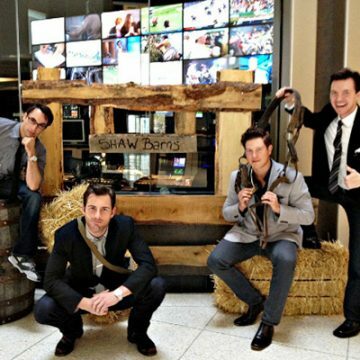 There is no better way to celebrate Calgary than kicking your boots in the straw and having a great time! 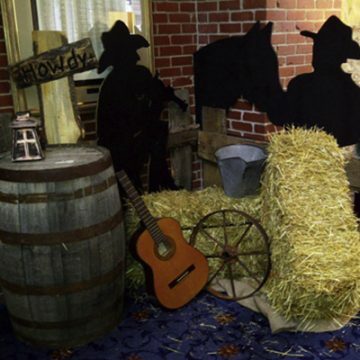 Fire Retardant Straw Bales are a great addition to your party or event. The uses are endless. 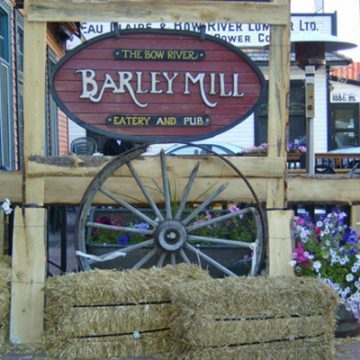 Whether you need additional seating with a western flare, or you want them simply for decoration, Fire Retardant Straw Bales are truly a part of the Calgary Stampede spirit. Any questions? Give us a call at 403-216-2202. What is the process of treating the Fire Retardant Straw Bales? All straw bales need to be strapped with ½ inch metal strapping and compressed 10–12 inches. After which, each straw bale needs to be thoroughly sprayed with a fire retardant solution approved by the Calgary Fire Department. And finally, each straw bale needs to be tagged with company contact info, chemicals used and dated. What size are the Fire Retardant Straw Bales? Straw bales vary in size but are typically 34-36 inches long, 14-16 inches tall and 16-18 inches deep. They weigh anywhere from 15-20 pounds. 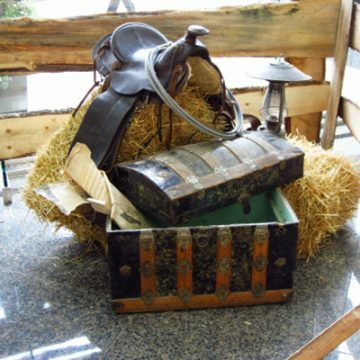 The straw bales are authentic and there is a possibility of dirt, bugs and other beings from our natural world. What happens if the bales get wet? The chemicals used on our fire retardant straw bales are water soluble. If a bale gets wet it is no longer fire retardant and must be moved outside immediately. The fire retardant straw bales are somewhat messy, but we try our best to clean up as best as we can. The more straw you have – the more spirit you show!!! What different types of functions does Blazing Saddle provide Fire Retardant Straw Bales for? Any event! We have delivered fire retardant straw bales to hundreds of all kinds of events. Breakfast, BBQ’s, Lunches, Dinners, Parties, Weddings, Birthdays, Promotional events, the list is endless. 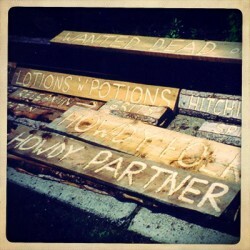 And there are a wagon load of different uses: they are great for seating, decorations, games, displays, and parades, anything you can think of. Will you set up the Fire Retardant Straw Bales? We sure do! Give us a site map or simple directions and we are able to place your straw bales for you. 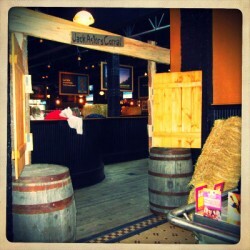 After your event – leave em in place and we will gather and take away the straw bales. You literally don’t have to lift a finger! Blazing Saddle does WAY more than just straw bales! 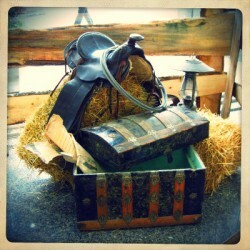 Check out the site for all your Western décor needs!